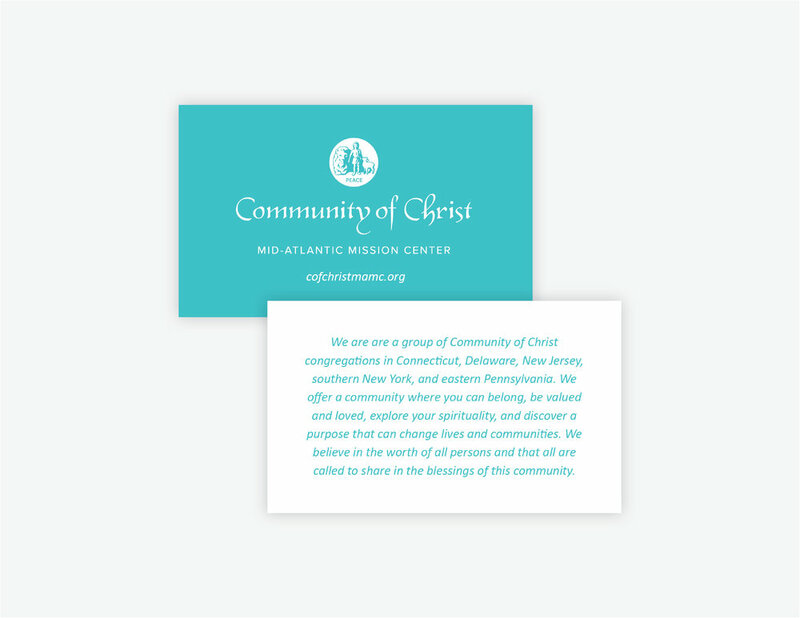 Working within guidelines established by the Community of Christ, I created a new mobile-friendly website for the Mid-Atlantic Mission Center. This project presented a communication challenge because the result needed to be helpful for both existing members and outside users seeking information. To address these needs, the primary goals for the website were to make finding a congregation easy, to streamline both internal and external communication, and to provide event information and registration. Since not all church members access the internet regularly, it is important to share information in print. 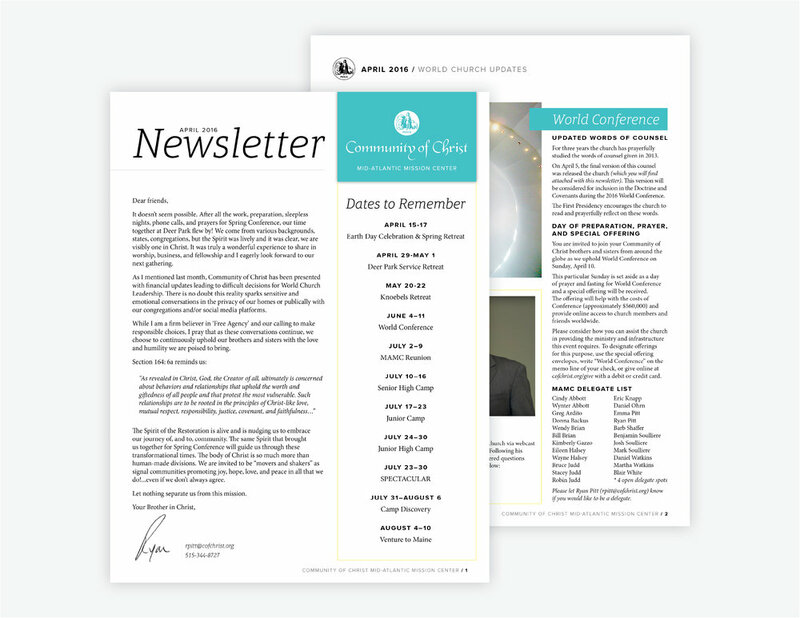 I work with the mission center president to create monthly newsletters that provide more in-depth updates for member congregations. Since volunteers participate in local fairs and events regularly, I created small info cards to share with interested parties. The mission center also partners with an organization called Threads of Hope, and these are included with those purchases.